Michael Jackson passed only a few hours ago. I find it strange how i feel because i haven’t been connected to this man in any way for years. I haven’t listened to the songs that I grew up listening too in years either, but today going through my old Jackson 5 music that i used to play so much when I was six, seven, eight, nine etc. I realized that even after years of not listening to these songs I knew all the words by heart. Tears came to my eyes. Michael Jackson was my idol when I was a child. I don’t like the idea of fame or people almost worshipping famous people, I don’t get excited to meet people who are ‘famous’ or even who I respect a great deal who are well known, so the sight of seeing people pass out and cry at the sight of another human being is disturbing to me to say the least. So I don’t use the term ‘idol’ loosely. What I will say is that I was fixated on Michael Jackson (as millions of people young and old were at the time and continue to be today). When I was a kid I was obsessed with the Michael Jackson that existed before I was born. Of course I was really into ‘Thriller’ and ‘Bad’ and even off the wall but I used to go to video store (back when there were actual videos not DVDs) and rent this old tape of Michael and the Jackson 5 on a regular basis (until I learned how to dub tape to tape and ‘owned’ a copy for myself. He was this powerful little black boy.. who was singing these grown up songs in a powerful voice that was still the voice of a child with the soul of a man who lived much longer then he had at the time. He looked like me. 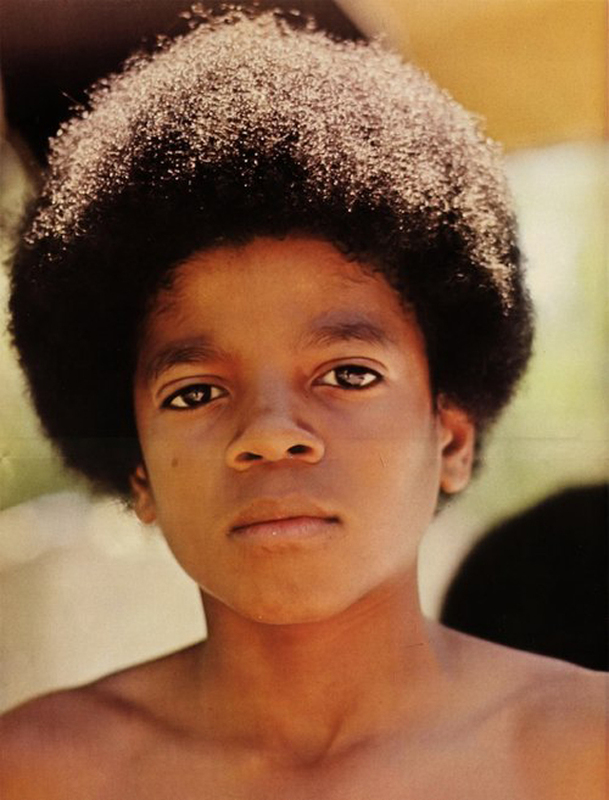 He had a little afro like me, his skin colour was like mine, he was cool and talented and so popular it was crazy. He had a gift and a presence that was undeniable and I looked up to him like he was my older brother. I watched everything that he did. I greatly admired Michael Jackson for a solid decade, from as far back as I can remember until I was maybe about twelve or thirteen. Then he started changing, and although I was still too young to really comprehend what was happening something about him changed. Not just the obvious exterior things, but his voice, his spirit. The music industry often does this to people, fame often does this to people. I’ve seen it happen first hand. I used to think that you could avoid it by being grounded, surrounding yourself with other grounded people and fighting to be normal, but the fact is being famous (especially as famous as Michael was) is not normal or natural and will effect you (more often then not negatively). Michael Jackson influenced almost every artist that came after him or during his reign over popular music. He was hands down the most well known human being on the planet for years. I heard some one say on television today “he sacrificed his childhood for us” and this is not far from true. I would say more clearly that his childhood was sacrificed. His life was obviously a twisted and distorted one from his childhood and this undoubtedly effected his psychology in too many upsetting was to even mention. He had an obsession with being young forever. His ranch was called ‘Neverland’ he had a fixation on Peter Pan and little children. He was ‘friends’ with little boys like Macaulay Culkin and Emmanuel Lewis and a lot of other children when he was well into his forties and of course there were often allegations of child sexual abuse. 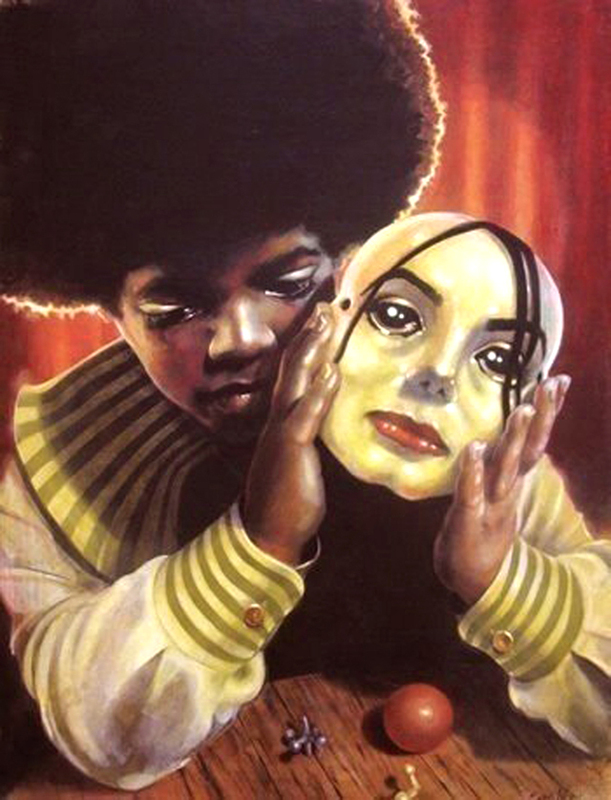 Michaels’ identity was skewed beyond recognition and he took it out on his physical appearance so much so that in the last ten years he was often referred to as a freak. I think we got so accustom to the freak Michael we forgot the old Michael, the one we loved, watched and looked up to. Still, Michael always made music that was in some way socially conscious and brilliant. He had his hits but he also had songs like We Are The World, Black and White, Earth Song, They Don’t Really Care About Us, Heal the World, In Our Small Way and so many more, on every project that he put out. I think we forget sometimes in all the craziness that a part from making huge hits like Thriller he was always a socially conscious artist of sorts. Today I remembered that little black boy that influence my life so much. Looking at the old clips of him performing with his brothers you can’t help but be sad at what that life and that amazing talent did to that little boy. He was an amazing spirit and even in his skewed view of reality, his narcissism and strange acts, you kind of knew that he was a gentle spirit with good intentions despite his extremely warped view of the world and what it made him do. Rest in Peace big brother.. you were far from perfect but you were a force to be reckoned with and you influenced my life personally so much when I was growing up that I can’t deny your power and your magic.. with all due respect.